So…another day when I’m thinking about going to bed, and realize that I haven’t taken any photos yet! Cat photo to the rescue. 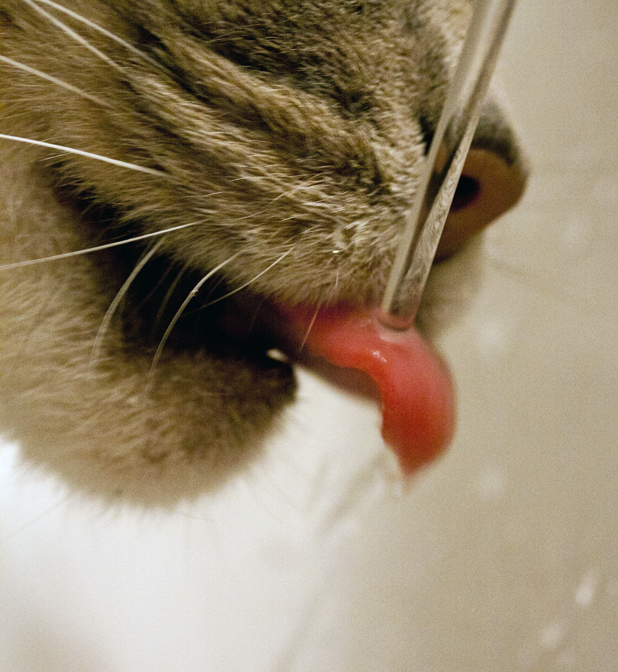 This is old Sylvia, who thinks tap water is a gourmet treat.